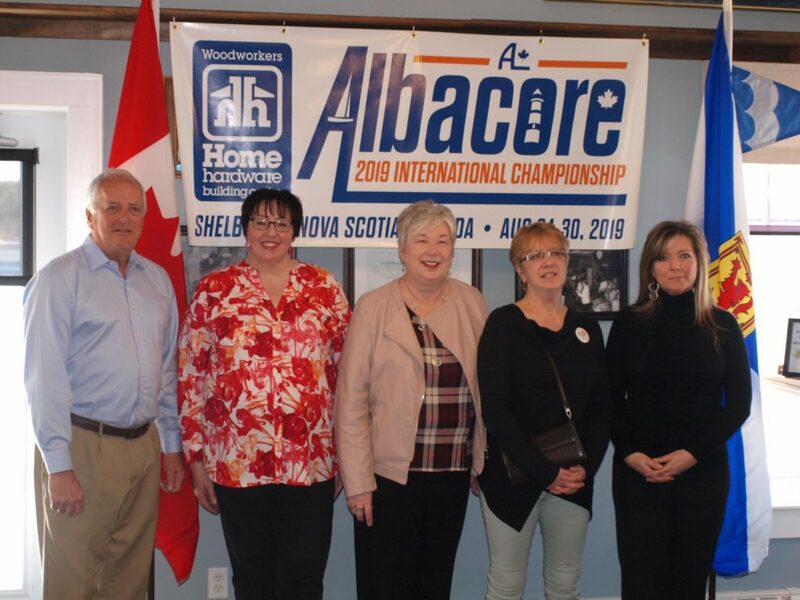 The Shelburne Harbour Yacht Club will be welcoming the world this summer for the 2019 Albacore International Championship Regatta. At least 50 teams from throughout North America and Europe are expected to compete in the event, scheduled to run from Aug. 24 to 30. Shelburne, NS: The Honourable Bernadette Jordan Minister of Rural Economic Development and Member of Parliament for South Shore – St. Margarets on behalf of the Atlantic Canada Opportunities Agency (ACOA) announced today that ACOA is providing funding in support of the 2019 Albacore International Championship in the amount of $69,917. This funding is earmarked for infrastructure improvements in advance of the championship which is scheduled to take place August 24-31, 2019. Hon. Bernadette Jordan, MP for South Shore – St. Margarets announces funding. Regatta Chairman Bradd Wilson addresses the group. Left-to-right: Bradd Wilson, Regatta Chariman; Susan Stewart, Commodore, SHYC; Hon. Bernadette Jordan, MP; Karen Mattatal, Mayor, Town of Shelburne; Penny Smith, Warden, Municipality of the District of Shelburne. 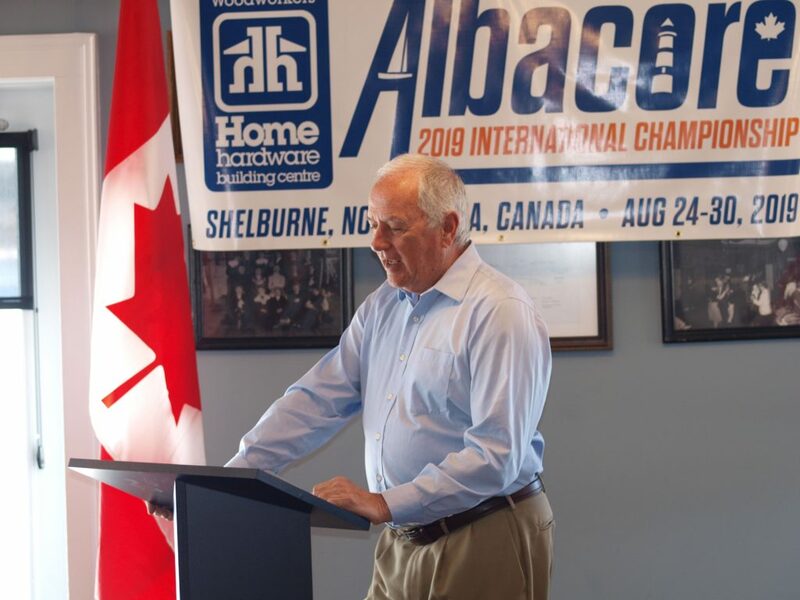 Shelburne, NS: The Shelburne Internationals Organizing Committee, the group responsible for organizing the 2019 Albacore International Championship, announced today that Woodworkers Home Hardware Building Centre of Shelburne NS has been named the title sponsor for the event. 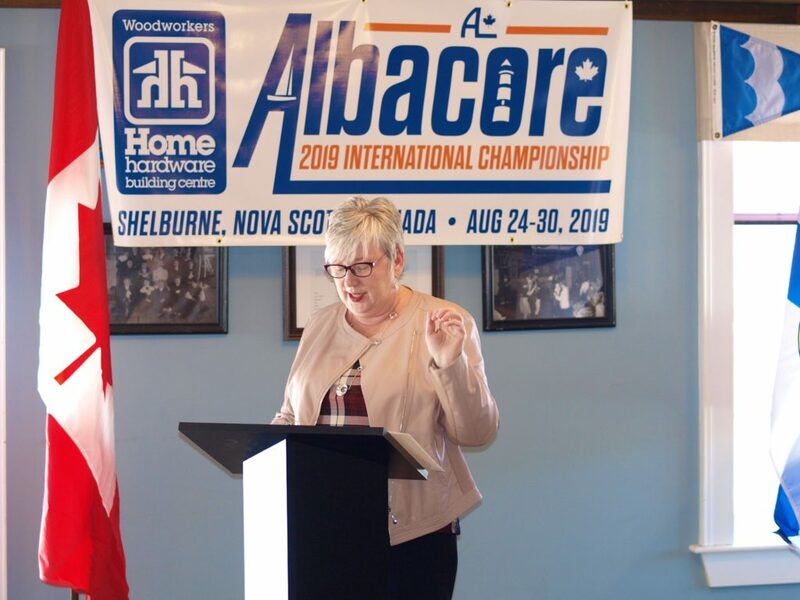 As a result of their title sponsorship, Woodworkers Home Hardware Building Centre imagery will be shown on all promotional materials for the 2019 Albacore International Championship. The Albacore sailboat is a 15 foot long sailing dinghy that is typically sailed by teams of two athletes. It was developed in the UK in the 1950s by Uffa Fox and has been updated numerous times while keeping its basic design intact. It is widely sailed in two continents by youth and adults alike.